American Caleb Fairly will turn professional next year with the team of super sprinter Mark Cavendish, HTC-Highroad. The American team announced yesterday that the 23-year-old climber agreed to two-year contract. "Fairly is a great young rider who demonstrates a lot of potential," said sports director, Rolf Aldag. Aldag's helped HTC's other riders realise their potential, including Americans Tejay Van Garderen and Craig Lewis. Van Garderen competed in his first Grand Tour this year at the Vuelta a España, where he placed well on the mountain stages and finished 35th overall. Fairly has similar skills and will have a chance to prove himself next year. Aldag explained, "We look forward to seeing what he can do for HTC-Highroad in 2011." This year, Fairly won the 200-kilometre Tour of the Battenkill solo ahead of Floyd Landis. He rode as a trainee for the USA's other big team, Garmin-Transitions this autumn, when he finished third place at the Giro della Toscana and 28th in the 233-kilometre classic, Paris-Tours. 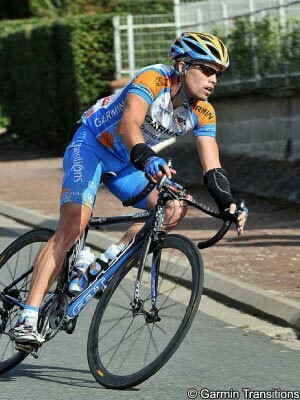 The stagiaire role at Garmin helped him earn his two-year contract with HTC. "I'm very excited about the opportunity to join HTC-Highroad for the next two seasons," said Fairly. "This team has a reputation for developing young talent in the ProTour, and I am honoured to be a part of such a great team and organisation." Brian Holm on Alex Rasmussen: "Alex is quite simply the strongest rider I've ever seen."